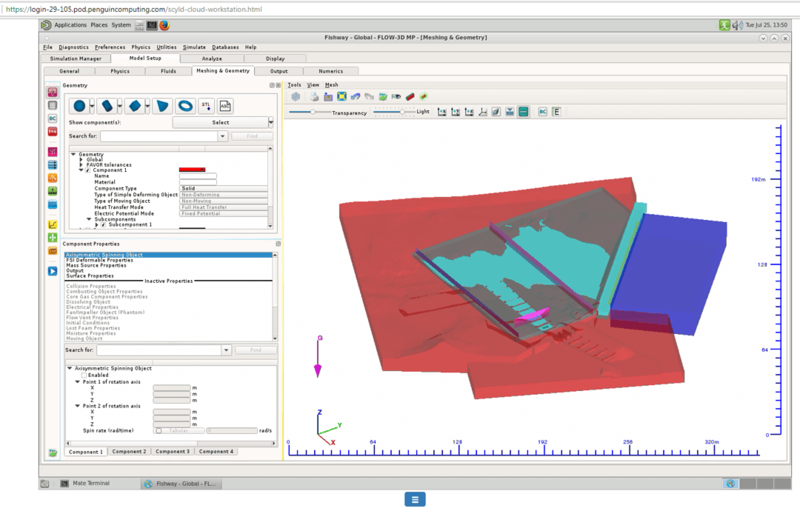 With the increasing use of simulation software for solving complex problems, enabling faster design cycles, while maintaining the accuracy of the solution, is critical. At Flow Science, we understand the importance of providing accurate and validated solutions in shorter durations. To accomplish this we offer a high performance computing version of FLOW-3D called FLOW-3D Cloud. FLOW-3D Cloud speeds up time to solution by running the software on hundreds of CPU cores. The underlying CFD solver is the same as FLOW-3D and therefore enables users to obtain the same accurate solution in much less time, leading to faster design cycles and cost savings in the long run. All of this can be done on the remote server using an internet browser. To enable this seamless workflow, Penguin Computing provides a unique and dedicated login node to users called Scyld Cloud Workstation (SCW). The setup process is quick. Also, because files don’t need to be transferred back and forth over the internet, design cycle times (and headaches) are significantly reduced. The best part is that the user does not need any special software at his or her end – the solver can be run and solution can be visualized in a browser itself! While Penguin Computing maintains and upgrades hardware on a regular basis so users always have access to state-of-the-art computing power, the team at Flow Science takes care of the backend installation of the software, saving users even more resources. 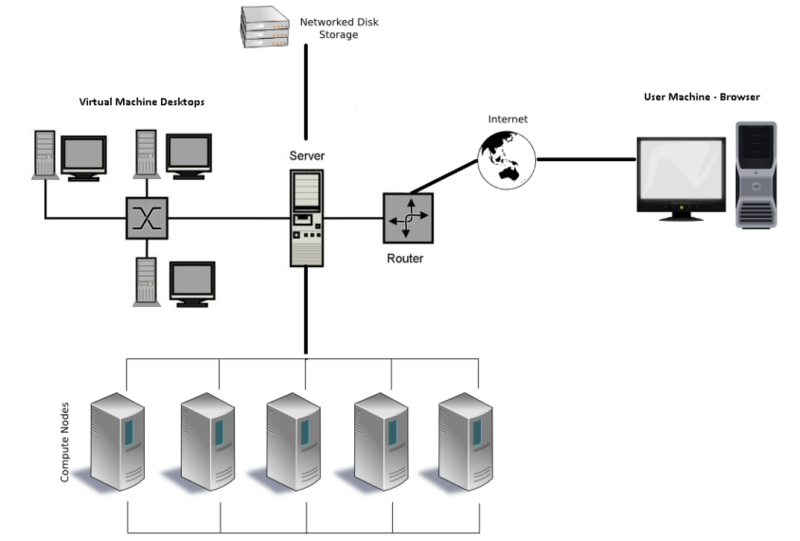 The POD SCW platform gives access to powerful compute clusters and high-speed storage devices through a virtual machine accessible by a web browser. Every part of the underlying infrastructure has been optimized for FLOW-3D Cloud. This includes the graphics on the virtual machines for seamless simulation setup and post-processing, storage devices for high-speed I/O operations and the compute cluster to get the absolute best performance from the solver. POD SCW allows team members, who may all be working from different locations to quickly and easily collaborate during simulation setup and analysis by ​sharing screen and controls.